Look for more power and less weight. 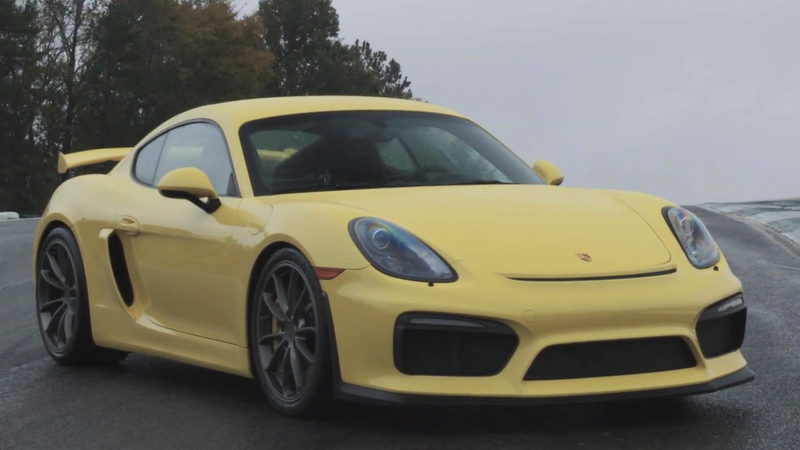 The Porsche Cayman GT4 is a car that enthusiasts dreamed about for years. Finally, the reins were removed and the mid-engined Cayman could finally show what it was capable of, free of the five-decade-old shadow of the 911. We loved it, and the idea of a faster, lighter, and more hopped-up version makes us weak at the knees. Although Porsche has been mum on the idea of a GT4 RS, a dealer in Australia may have tipped the automaker's hand. Car Advice reports that a now-removed Instagram post from Porsche Centre Brisbane gave details on the yet-to-be confirmed Cayman GT4 RS. Most notably, the post mentioned the car will have a 4.0-liter naturally-aspirated flat-six, up from the 3.8-liter engine in the standard GT4. At a time where Porsche is transitioning to an all-turbocharged lineup, sticking a big, unfettered flat-six under the hood would be a wonderful swan song for natural aspiration. If this is indeed true, look for a detuned version of the 500-horsepower engine in the Porsche 911 GT3 RS. If the Cayman GT4 gets the full RS treatment, expect more aggressive aero, sticker tires, stiffer suspension, and an even bigger diet relative to the standard Cayman. Of course, you should also expect limited production and a hefty waiting list. While Porsche hasn't confirmed anything, if this is indeed true, we'd count on an announcement in the next few months, possibly as soon as March at the Geneva Motor Show.